The Doctor: Fools, who tried to become Time Lords. The Doctor, Tegan and Nyssa encounter a strange spaceship that is in orbit above Earth. They investigate and soon discover that one of the ship’s inhabitants left the ship six years previously. 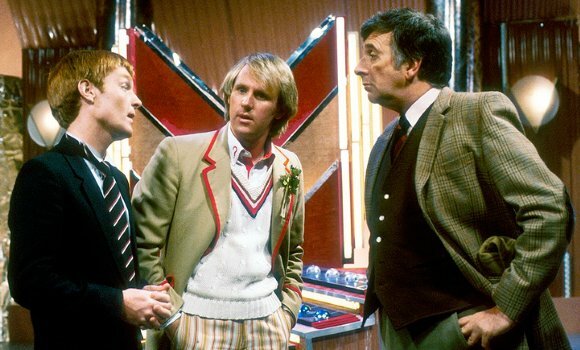 Soon, The Doctor, Tegan and Nyssa become embroiled in a dangerous adventure featuring one of the Doctor’s oldest friends, Brigadier Alistair Gordon Lethbridge Stuart. This story has quite a reputation in the Who world. The reason for this is UNIT dating. UNIT Dating is a debate between Doctor Who fans because certain episodes do not have set dates and often contradict one another. Now for most of the people who watch Doctor Who, the date the episode is set in unless it is really obvious and important to the plot does not really matter. However, there are some Who fans who obsess over such things. I myself did once belong to such a category and I still do, kind of. The point is that a lot of Doctor Who fans do not like this story because of dating ( I mean in terms of knowing when the story happens in continuity, not the fact the story stops them getting girlfriends or boyfriends.) which, in all honesty, is an invalid reason really. I understand what they mean but trashing a perfectly good story because it does not fit into a certain box is mad. That is because “Mawdryn Undead” is a very good story. If you don’t believe me, then read on. Nicholas Courtney had played the role of the Brigadier for many years before he appeared in “Mawdryn Undead”. He first appeared with Troughton’s Doctor in two separate stories before becoming a steady part of the next era. He was with Pertwee in almost every story of his era and had appeared twice alongside the Fourth Doctor, Tom Baker. Now it was time for him to encounter Davison’s regeneration of The Doctor. Now that you have the background of the story let us continue onto the performance and why I have chosen Courtney as my star performer of the episode. We are accustomed to seeing The Brigadier keeping his cool. This guy has faced down Yeti, Cybermen, Daleks and all manner of other space evil you can think of. But in this story we see the Brigadier snap. He shouts at The Doctor who is one of his oldest friends because he assumes The Brigadier is suggesting he has lost it. This story enforces one thing, the fact The Brigadier’s job means everything to him. This is the only story we see him in when he is not in active UNIT service. The next time we see him in “The Five Doctors”, The Brigadier is retiring again! The thing is that this story is set several years after Madwryn meaning The Brigadier re-joined UNIT then retires again. When we see him after The Five Doctors he is called back into service by UNIT. Even in his one and only new Who related appearance (The Sarah Jane Adventures episode – Enemy of the Bane) he is still working for UNIT in some manner. As I suggested earlier, the job means everything to him, so that when it is taken away from him he feels as though he is not needed. Constantly throughout the story he keeps saying he is not passed it, almost as though because this version of The Doctor is the youngest yet so he will not want the Brigadier’s help. Whilst The Doctor has grown physically younger he has grown older. In a way this is The Brigadier’s darkest hour but also his most human. In a story that features people who want to be Time Lords, who want to be immortal (almost Prometheus like, trying to steal the fire of life from the Gods.) it is interesting to have so many contrasts, the young yet old Doctor, and two versions of the same man but one younger than the other. Truly Mawdryn Undead is a complex and very interesting story making you question what the author wants you to think. And no amount of UNIT dating is going to ruin what is really Doctor Who at its finest.